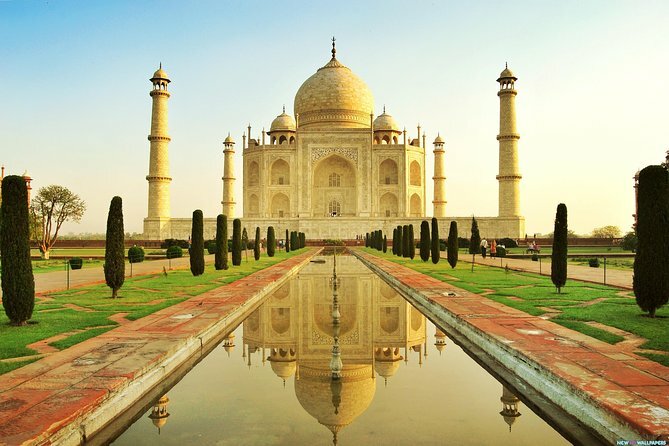 One Day Agra Tour From Delhi – A trip to India is incomplete without visiting the world-renowned Taj Mahal of Agra. Exquisite stone inlay work on the walls further add to its profound beauty. The monument is a true testimony of pure love of a king towards his queen. Take a trip to the Taj and fall in love with it! Our Tour Driver Pick up you from your Hotel / Airport and any location in Delhi only. Drive to Agra by A.C. car. Visit to Taj Mahal. The Taj Mahal is famous for its structure and the tale of love that it depicts. It is amongst the Seven Wonders of the World. After visit to Red Fort, take lunch. Visit to Baby Taj. It is the “Tomb of I’timad-ud-Daulah” and appears quite similar to the Taj Mahal. The mausoleum is also a must visit Destination during your trip to Agra. Visit the Local Market in Agra feels the culture of India. Transfer to Delhi by road and your journey will be continued towards the city of Delhi. Drop at Delhi Airport / Railway station/ Hotel. You will be able to commence your further journey from here.